LIKE: I like the fact that the foods in DK are not loaded with preservatives the way they are in the US; although my first few months here, I threw out so much food that ruined because I just could not seem to understand that things only last a very few days. I am used to shelf-lives that sometimes go into the next year. A lack in preservatives forces you, in a way, to shop more often so that you are always buying fresh things.... which is actually a GOOD thing. 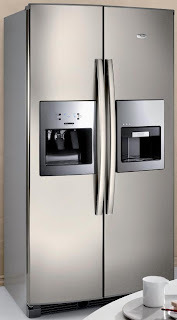 DISLIKE (still in PRESENT TENSE): I have a PASSIONATE dislike for Danish REFRIGERATORS. Yes, I have to shop more often so that we always have fresh food, so a huge side-by-side fridge is not necessarily a NEED; however, it drives me nuts to have a fridge that my 4'11" grandmother would have towered over. I will never forget when we got to our beach house in Georgia over Påskeferie and my niece, Rebecca (who is Danish), could not believe how "HUGE" the fridge in the house was... Yeah, it was no where near what we Americans are used to! The bad news is that they are expensive. At last! A balanced look at Denmark. A welcome development. Expats always reach this stage within the first three to five years. The next stage depends on luck and which way the wind blows. We wanted to buy an 'amerikansk koleskab' but, it won't fit in the kitchen because our refrigerator is actually built into the cabinetry. We'd have to remodel the whole kitchen! Too funny! I hate Danish fridges. Mine is actually pretty much a mini fridge, and I have to sit on the floor to put my groceries away, which takes forever because you have to put everything just so to make it fit. I haven't had ice in a beverage since I moved here, because our freezer is far too tiny to hold an ice cube tray. In Norway you can get the fridge like you pictured. It costs a fortune but is becoming quite popular with Norwegians. Even more so then that big fridge room we have. That USE to be popular, now it is the American fridges...don´t you have these in Denmark anywhere?? Yeah, fresh food is wonderful. Is organic big in Denmark? Do you have farmer´s markets in Denmark? I love those...I love foods made on farms and sold directly to the consumer!!! Just visiting to say thank you for your comment on the Get Out of Town Thursday blog I wrote about San Francisco. You are SO right about Lombard Street! I lived literally one block from there when I was in San Francisco and had so much fun driving down it and taking people to snap pictures there! Such a fun city! I can't wait to read more of your blog--I'm so intrigued about Denmark! The only problem with large fridges is that sometimes things get lost in them! You start moving stuff around to find your bottle of mustard and you discover some chinese take-out from three weeks ago! That's one of the first things I really wondered about Americans. 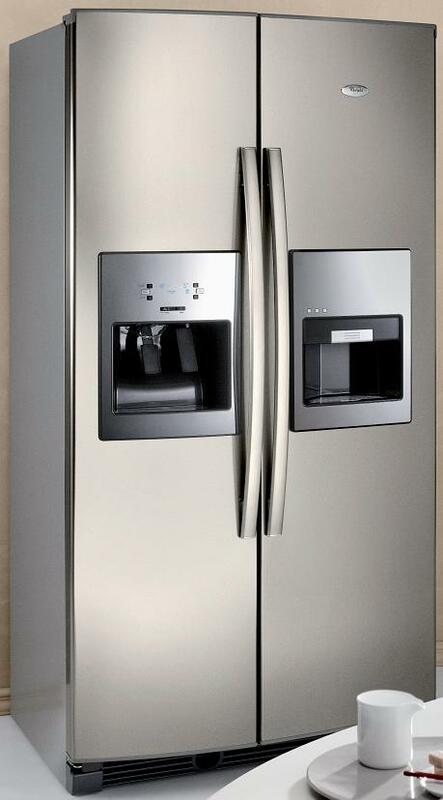 Why do they have such huge refrigerators but tiny little toilets? The standard toilet in the US have the same height as those special toilets you only see in preschools in Denmark, because they are designed for 3-5 year olds. In the US I often use the Handicap restrooms because they are the only ones with a normal height toilet for an adult. And about the giant American appliances.. i really don't like them. it's just more area to clean, and a waste of energy to keep giant fridges cool and heat op giant ovens. I have a decent sized kitchen, but my fridge is huge. Well actually it is smaller than average here. Half of the freezer area is wasted because of a stupid ice maker I never use. The stove/oven is humongous but it lacks basic functions like convection and choosing if you want the heat to come from the top, bottom or both. Then there is a microwave oven almost the size of a regular (Danish) oven, a double sink (why would you need more than one unless you love cleaning sinks all day) and when I ad my coffee maker, and other necessities, it leaves me with almost no counter space. So where am I going to put all the food from my giant fridge so i can prepare it before I cook it on my giant stove? Maybe I should bring it to the bathroom, there is plenty of room in there!